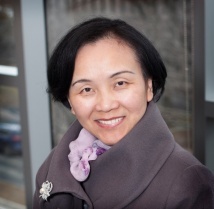 Professor Wang’s research interests include (1) understanding the role of regulatory T cells and IL-17/IL-17R axis in host responses to intracellular bacterial infection and cancer; (2) development of prophylactic and/or therapeutic vaccines against infection and cancer. Zhou X, Chen RQ, Moore JM, Kolls JK, Halperin S, Wang J. Critical role of IL-17/IL-17R axis in regulating host susceptibility to respiratory Chlamydia infection. Infect Immun. 2009; 77:5059-5070. (Impact Factor:4.06, cited 41 times by July 2014) (This paper was one of the articles of significant interest selected from the issue by the editors and highlighted in the Spotlight section of the issue).